Sometime between 600 and 900 AD, Chinese chemists stumbled upon gunpowder and the long history of fireworks began. The celebratory rockets spread around the world, morphing from simple firecrackers to the bright blossoming showers of color that wow watchers around the world today. Reprint of edition of 1771, including facsimile of original t.-p.
At head of title: The Willughby Society. Stacy A. Cordery was a Brownie the first time she heard the name Juliette Gordon Low. She was instantly fascinated by the woman, who founded the Girl Scouts in 1912, and by the fact that she was hearing impaired for most of her adult life. “Her deafness made me want to learn sign language, which I attempted as a young girl,” says Cordery, now a historian and professor at Monmouth College in Illinois. But, while in high school, and college and graduate school at the University of Texas, Cordery noticed that Low was absent from history textbooks and lectures. “The older I got, the more I thought we don’t know enough about her,” says Cordery. Low’s legacy is monumental: Now celebrating its 100-year history, the Girl Scouts is the largest educational organization for girls in the world, with 3.3 million current members. Over the years, some 50 million women have worn the uniform and earned badges for its sash. Cordery’s new biography, Juliette Gordon Low: The Remarkable Founder of the Girl Scouts, pieces together Low’s life story, from her beginnings in Savannah, Georgia, at the outbreak of the Civil War to her establishing the first troop of Girl Scouts in the United States. From diaries, letters, institutional correspondence and photographs, Cordery describes Low’s time as a Georgia debutante, the years she spent in England married to an aristocrat named William Mackay Low, Willy’s adultery and his death during their divorce proceedings, and her discovery of Robert Baden-Powell, founder of the Boy Scouts and Girl Guides in England. Why did you want to learn more about Juliette Gordon Low? Every biographer has some autobiographical connection to his or her subject. For me, it was not just that I was a Brownie, but that my mother was a Girl Scout and my grandmother was a troop leader. My mother always kept her Girl Scout uniform. I still have it. And I thought, what was it about this organization that was so important that my mom kept her Girl Scout uniform in the same box as her wedding dress? By having access to primary source documents you were privy to Low’s personality a bit. How would you describe it? She was impetuous like her mother. She was thoughtful like her father. She was more organized than I think people gave her credit for. She loved literature. She was deeply spiritual and at the same time phenomenally superstitious. She had a family commitment to duty. I think she had the biblical instruction to do good in the world, and she had been doing good in the world in her own way ever since she was putting on plays as a girl and charging admission to send off to missionaries. When she was hanging out with the aristocracy in England, she called herself a “woman of ease.” She simultaneously enjoyed that and felt horribly guilty about it. Willy, her husband, was not a supporter of women’s rights and did not believe that women should be out of the home. Consequently, Juliette Low had to do her good deeds in secret. After Low led three groups of Girl Guides in the United Kingdom, she formed the first troop of 18 American Girl Guides, as the Girl Scouts were originally called, on March 12, 1912. How were they received? In the United States, there was not a tremendous backlash against Girl Guides as there was in England. There were complaints, in England, about mannish girls and girls not being peaceful if they were in a uniform that looked like a military uniform. There were concerns about girls being overly athletic or indulging in sports, games or outdoor activities that were not appropriate for their gender. But, in the United States, there were already progressive era movements afoot suggesting that children needed outdoor exercise, to play, to get out of the classroom and to be able to run and be free. On part of Low’s land in Savannah by her home, girls could play tennis and basketball. Basketball was a pretty new sport in our country. She strung up this canvas curtain to keep these girls in their skirts with their basketballs away from the eyes of passersby, for fear she would offend some of them. Of course, it made everyone want to know what the heck was going on. I don’t believe she hung up the curtain in order to heighten interest in her organization, but that’s the effect it had. Little kids had to peek through, and it just looked terrifically fun. What skills did Low want Girl Scouts to learn? Most women were going to be wives and mothers and she knew that, so, better to train girls to be really exceptional homemakers. She wanted them to learn about cooking and preserving food. She wanted them to know how to run a sterile kitchen. She taught about nursing—taking care of invalids and sick children—and sewing. Anything that a wife and mother should do she thought she could train her girls to do better. Low understood how it was possible that any woman might find herself in the situation of needing to take care of herself. So, she emphasized career training for girls. Some of the early badges were about flying, typing, telegraph skills and farming. Then there was this whole path of outdoor activity, which ranged from gardening to camping. Her program taught you how to identify a poisonous mushroom from a nonpoisonous mushroom and how to pitch a tent and which kind of wood was useful to burn in a fire and which kind wasn’t. There was a fear that some of these ideas were beginning to fade. Then, there was the part of her program that had to do with citizenship. She wanted her girls to know something about the Constitution of the United States, the history of the United States, geography, then particularly as World War I came along, military preparedness, so semaphore, Morse Code and how to prepare for civic emergencies of any kind. What do those skills say about her idea of a woman’s role in the world? I think that Juliette Gordon Low, by the time she was 51 years old and had founded the Girl Scouts, understood that a woman’s life was no longer predictable and that you could not count anymore on being a pampered wife and a beloved mother and grandmother. It behooved you as a teacher of young girls to train them for unexpected futures. All kinds of girls joined scouting—middle-class girls, elite girls, poor girls, factory girls and orphans, from every religious and ethnic background. And, they all joined for different reasons. Girl Scouting was equal parts of fun and education. Juliette Low wanted girls to become better women. Do you consider her a feminist? That word wasn’t even really used in this country until about the time she founded the scouts. I do not have a single scrap of paper where she self-identifies as a feminist. I know she supported suffrage. Do I think that a broad general definition of feminist today applies to Juliette Low? Yes, I do. Do I think it always applied to her? No. It definitely applied to her as an adult. In the late 1800s and early 1900s, other similar girl scouting groups sprung up. What, culturally speaking, do you think was going on that inspired the need for scouts? Historians talk about the end of the 19th century and early 20th century as a time of industrialization, immigration and urbanization. American factories were chugging away at a tremendous pace. The 1920 census for the first time told us that more people were living in urban areas than rural areas. People were coming from all over, and we weren’t certain how that was going to work out. Juliette Low wanted immigrant girls in Girl Scouting. She thought it would help to Americanize them, which can be an ugly thing to think about from the perspective of 2012 but wasn’t seen as a bad thing in 1912. Urbanization also comes into play because these children in cities didn’t have access to fresh air and fresh water and fields to run in and hills to roll down, like Juliette had had when she was a little girl. Girl Scouting picked up on the fresh air movement and the other camping movements of the time and said, let’s get kids out of the city. Girl Scouting and other reforms of the progressive era were an attempt, in part, to mitigate the worst excesses of industrialization, to help immigrants become Americans and succeed here both personally and professionally, and to make sure that we all did this in an atmosphere of friendship and trust. Some things are impossible to know about Low’s life. What are you most curious about? That’s the biographer’s question. If you had your subject over to tea, what three questions would you ask her? I would ask her the professional question: How did you feel in 1920 when you voluntarily gave up the presidency of the Girl Scouts? I think that must have been one of the hardest decisions she ever had to make. Then, the personal, gossipy question: What’s the dish about Robert Baden-Powell? I’d like to know whether they were really in love or if they decided they would just make good mates. And, I think the historian’s question I would ask would be, were you aware of all the other reforms and reformers around you? As a historian, that is what really puzzles me. I kept thinking I would see, in her correspondences, letters to prominent reformers of her time, and they just are not there. There is no letter to Florence Kelley. There is no long, thoughtful missive from Jane Addams, saying let’s talk about how you’re working with youth and I’m working with youth. While she was contributing to reforms of the progressive era, she was not connected to the progressive era women we know so well. I just want to know why that connection wasn’t made. What lessons does her life story impart? There has got to be some kind of lesson about not letting your worst mistake get the best of you. I think her worst mistake was marrying Willy Low. In her own estimation, her life was in shambles. She had failed to have a successful marriage, and she had failed to produce children. She could have been a bitter old woman sitting on her pots of money. She could have been angry and withdrawn, but somehow she wasn’t. From that rose this dogged, determined, passionate, committed dynamo of a woman who threw herself into girl scouting. She opened doors for girls that were closed to her. I think her story says something about resilience and optimism. Old Faithful geyser in Yellowstone National Park may draw a lot of attention, but it's far from the park's only water feature. North of Old Faithful, in the Norris Geyser Basin, lies Steamboat, the world’s largest active geyser. While Old Faithful can spew streams of boiling water over 100 feet in the air, Steamboat can top 300 feet. The problem is Steamboat's eruptions are super erratic, and no one can predict when it’s going to be active—sometimes it takes months, sometimes it takes years. But now, three and a half years since its last major outburst, Steamboat has awakened, spouting three times in the last six weeks, reports Alex Horton at the Washington Post. Steamboat erupted on March 15, April 19 and April 27, the first time it’s blown its lid three times in a year since 2003. As Sean Reichard at Yellowstone Insider reports, seismic data from the Yellowstone Volcano Observatory suggests the latest eruptions were pretty impressive. For one, the April 27 event shot up more than 10 times as much water as the average Old Faithful event. But still, they pale in comparison to Steamboat's previous eruptions in July 2013 and September 2014. So, does the reawakening of Steamboat mean the Yellowstone Volcano will soon rumble to life after 70,000 years of slumber? The possibility is extremely remote. The latest eruptions are just business as usual for Steamboat, which goes through cycles of dormancy and activity. As Reichard reports, since European explorers discovered Yellowstone’s geyser basins in 1878, Steamboat has been temperamental. In the 50 years between 1911 and 1961, it didn’t spout at all. Then, the geyser blew its top at least seven times in 1962 and 77 times between 1963 and 1965. It had another burst of energy in 1982 and 1983, going off 35 times total. Since then, it’s had smaller outbursts, including the three-peat in 2003 and similar eruption pattern this year. Michael Poland, the researcher who heads the Observatory, tells Horton that Steamboat is so unpredictable because of its complex plumbing. Old Faithful, which is an oddball when it comes to geysers, has fairly simple underground waterworks. Its water is evenly heated by magma rising from the Earth's mantle, leading to its regularity. Steamboat’s plumbing, however, is likely more complex. Uneven heating of its water source would create the geyser’s seemingly random bursts of hot water. The eruptions could have several other causes, according to Reuters. It’s possible that, instead of having one large eruption to vent pressure like in 2013 and 2014, Steamboat is simply venting its steam in a series of smaller outbursts. It’s also possible the thermal basin is undergoing some subsurface shifts. The 2003 event was linked to an underground thermal disturbance in the Norris Basin that killed some trees and almost swallowed nearby trails, reports Horton. One thing is clear—the changes at Steamboat are not signs that the Yellowstone Supervolcano is waking up. The chances of Yellowstone erupting anytime soon are miniscule. In fact, as Reuters reports, it would be far more worrying if the geysers suddenly dried up. Plate, numbered 5, signed: Imp. litho de Naviduab. SCNHRB copy (H360152C) stamped on title page: Isaac Lea Collection. Inscribed in ink on cover title: Mr. Lea. SCNHRB copy stamped on title page: Library, U.S. National Museum, Smithsonian Institution Jan 9 1890 [manuscript accession no.] 134880. SCNHRB copy in original blue printed paper wrappers. SCNHRB copy bound with: Grateloup, Jean-Pierre Silvestre de. Conchyliologie fossile du bassin de l'Adour. A Bordeaux : Chez Th. Lafargue, 1837 -- Grateloup, Jean-Pierre Silvestre de. Notice sur la famille des Bulléens. A Bordeaux : Th. Lafargue, 1837 -- Grateloup, Jean-Pierre Silvestre de. Mémoire sur les coquilles fossiles des mollusques terrestres et fluviatiles. Bordeaux : Th. Lafargue, 1838 -- Grateloup, Jean-Pierre Silvestre de. Conchyliologie fossile du bassin de l'Adour (5e mémoire). Bordeaux : Th. Lafargue, 1838 -- Grateloup, Jean-Pierre Silvestre de. Mémoire de géo-zoologie sur les coquilles fossiles de la famille des Néritacés. Bordeaux : Th. LaFargue, 1840. Bound together subsequent to publication. While 1600 Pennsylvania Avenue in Washington, D.C. may be the most notable presidential address, it isn’t the only residence our past presidents have occupied. From quaint boyhood homes tucked away in the countryside to private getaways just steps from the beach, many of the homes and estates of former U.S. presidents are open to the public today, offering a glimpse into the lives of these men and their families when they stepped outside the public eye. Here are six presidential homes that you can tour now, just in time for the presidential inauguration year. 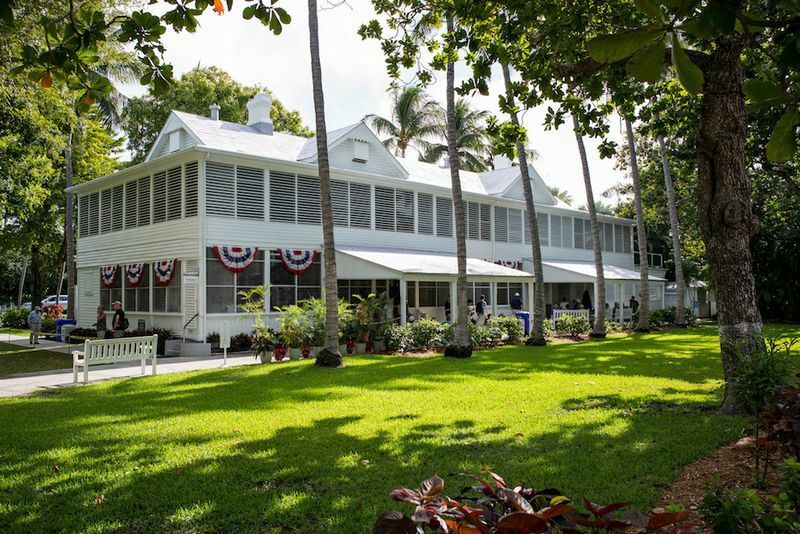 As soon as the first hint of a winter chill swept through the nation’s capital each year, President Harry S. Truman and key members of his staff would pack their bags and head south to what has come to be known as the “Little White House.” Located a short distance from a local beach on Key West, Florida, Truman’s winter retreat was built in 1890 as officers’ quarters for the local naval base—but in 1911, it was converted into a private residence, serving for a time as a temporary home for inventor Thomas Edison while he conducted experiments during the First World War. From 1946 until 1952, Truman spent 175 days of his presidency at this southern getaway, and after his passing in 1972, the home played host as a respite for a number of subsequent presidents, including Jimmy Carter and Bill Clinton. It also served as the site of the international peace talks between Armenia and Azerbaijan in 2011. 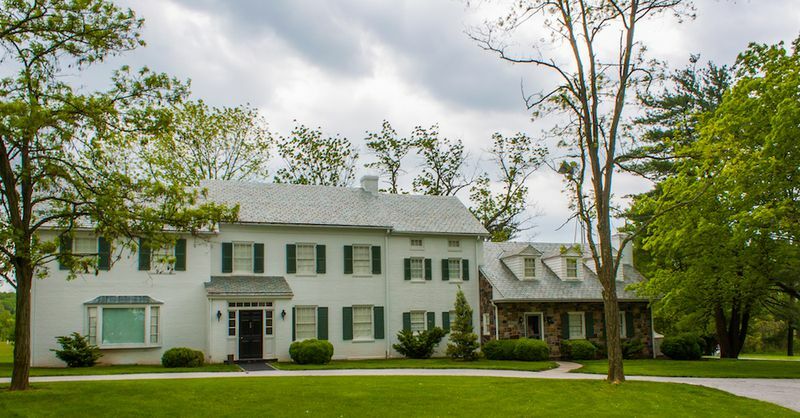 Today visitors can explore the bleached-white home, which houses nearly all of its original furnishings (including the famous “The Buck Stops Here” sign on Truman’s desk), read through the logs detailing the daily accounts of each of his visits, and stroll through the onsite botanical gardens. A herd of cattle still grazes at the historic site, and visitors today can take self-guided walking tours along the farm lanes and trails that meander throughout the property. The onsite museum houses a collection of approximately 48,000 artifacts that includes everything from military paraphernalia to awards for Ike's livestock, in addition to many photos. Abraham Lincoln’s former home has been a popular spot for visitors since it opened its doors to the public in 1887, a full 22 years after his assassination. While it was first built in 1839, Lincoln purchased the 12-room Greek revival, located 200 miles south of Chicago, in 1844; it was later restored in 1860. 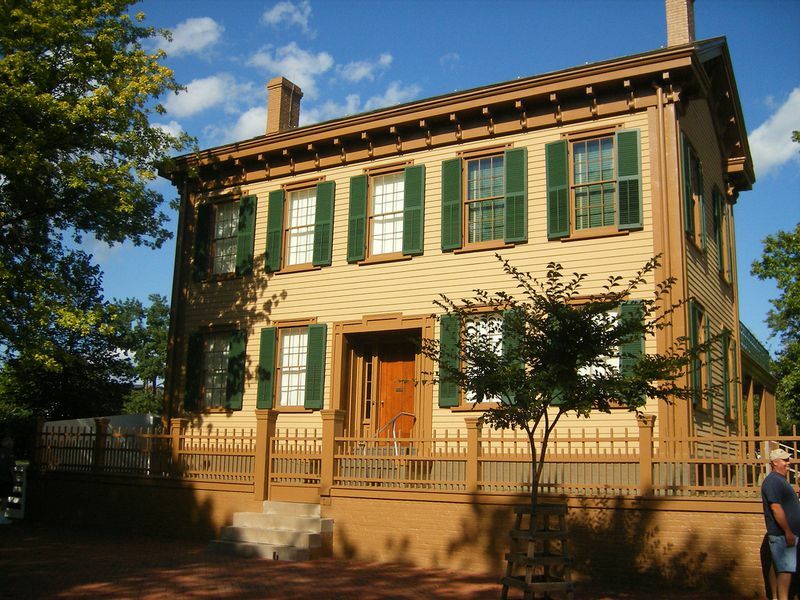 For 17 years, it served as his home, which he shared with his wife, Mary Todd, until their move to Washington, D.C. where Lincoln would serve as the country's 16th president. Fast forward and today hundreds of thousands of visitors flock to this historic property each year, experiencing park ranger-led tours that explore the couple’s separate bedrooms, children’s rooms, kitchen, formal parlor, sitting rooms and various outbuildings. After graduating from the United States Military Academy (West Point) in 1843, the U.S. Army stationed Second Lieutenant Ulysses S. Grant to the Jefferson Barracks, located on the outskirts of St. Louis, Missouri. It was during his service there that he met Julia Dent, the sister of Frederick Dent, one of his former roommates. After a five-year engagement, the couple married in 1848. Over the course of the next four decades, White Haven, the Dent family’s homestead, would serve as the couple’s on-again-off-again home, where they resided until his death in 1885. 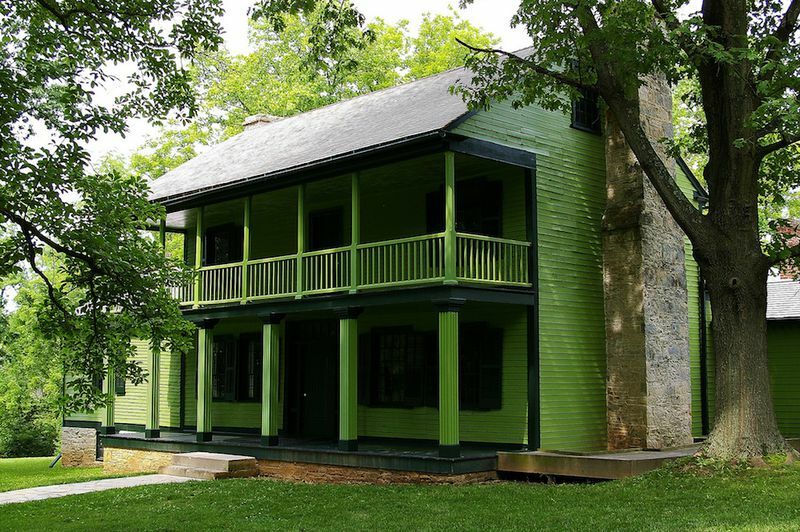 Now, more than 130 years after his passing, the green-clapboard main house, outbuildings, and stables remain a popular draw for visitors, while interpretative tours of the property, as well as a screening of the 22-minute film, Ulysses S. Grant: A Legacy of Freedom, are also available. Living in New York City has been a rite of passage for many a U.S. president, but few can actually say they were born there. On Oct. 27, 1858, Theodore Roosevelt was born and raised at 28 E. 20th St. in Manhattan’s Gramercy Park neighborhood. In 1872, the family moved Uptown, and eventually the original brownstone was demolished as the neighborhood transitioned from residential to commercial. However, in 1919 the Women's Roosevelt Memorial Association purchased the lot and rebuilt a replica of the former home, which has served as a national historic site since 1962, when the National Park Service assumed management of the property. 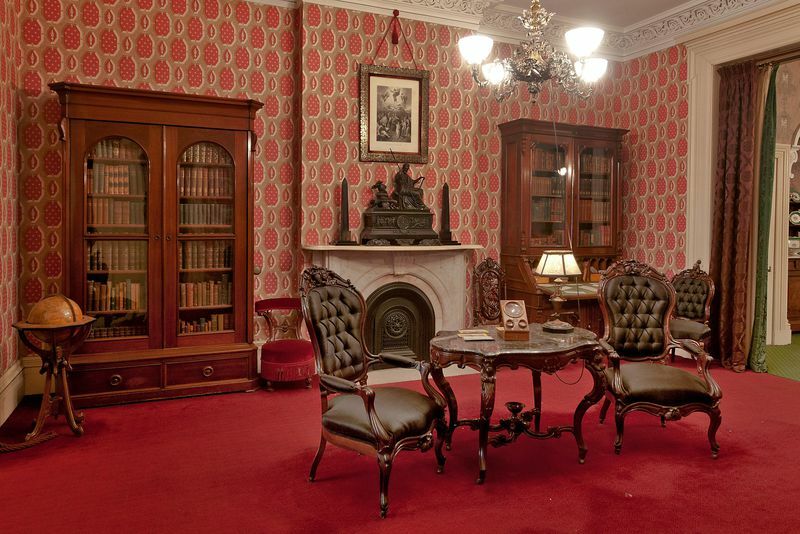 Today the home's rooms are decorated with period furnishings and family-owned possessions, and visitors will find ranger-guided tours available. 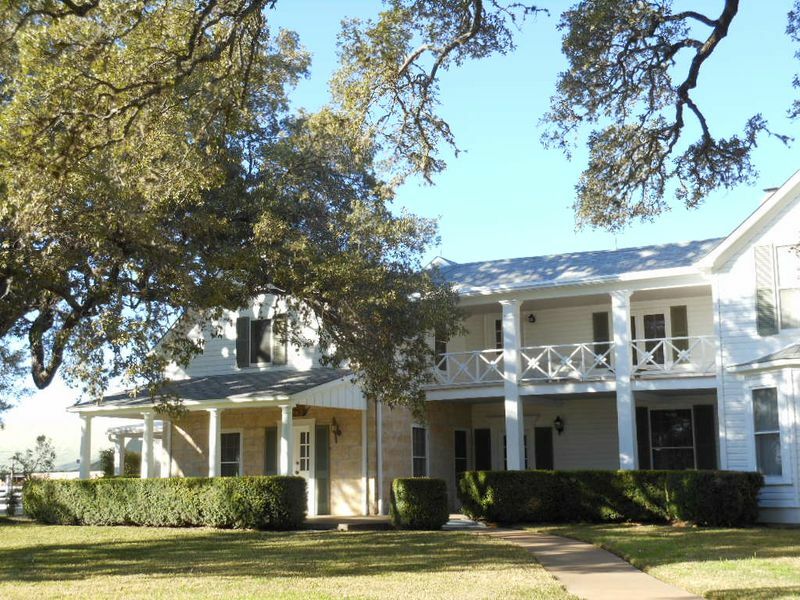 Located an hour’s drive west of Austin in the Texas Hill Country, spanning the central and southern regions of the state, sits Lyndon B. Johnson’s famed ranch, which the 36th president occupied with his family as a young boy beginning in 1913. At the time, many residents living in this rural corner of Texas didn’t have electricity or indoor plumbing in their homes, which later compelled Johnson to introduce programs designed to help fellow U.S. citizens who were living in similar circumstances; this includes his famous "war on poverty" legislation, which he discussed during his State of the Union Address in 1964. Visitors today can experience the 1,570-acre property in person, which includes Johnson's boyhood home, stockyards, farmhouse and the family gravesites for both LBJ and his wife and former First Lady, Lady Bird Johnson. This summer, Cleveland joins the ranks of Venice, Miami, Berlin and other global cities known in the art world for their citywide art exhibitions with the introduction of FRONT International: Cleveland Triennial for Contemporary Art. Kicking off July 14 and continuing through September 30, the inaugural event features the work of more than 100 local, national and international artists at some of the city and region’s most respected institutions, including the Cleveland Museum of Art, Museum of Contemporary Art (MOCA) Cleveland, the Cleveland Clinic, Playhouse Square, Oberlin College and the Akron Art Museum. An art festival of this caliber is a first for Cleveland and is the largest event of its kind in North America, making it an ambitious jump for a city whose art scene is often overshadowed by Chicago, New York City and Miami. Michelle Grabner, FRONT’s artistic director and an artist herself, sees it as a pivotal step in putting the city and region on the art world map. To take this objective from idea to reality, Grabner focused on the idea of community and what makes a city An American City—the festival’s theme—by building a network of artists and institutions that would work in tandem to create a sense of unity that permeates throughout the city and region. In the months leading up to the event, FRONT created a yearlong residency for a dozen artists inside a renovated building that once served as a medical facility for Glenville, a low-income, predominately black neighborhood located about five miles east of downtown Cleveland. Inspired by the idea of bringing often overlooked neighborhoods and underutilized locations into the conversation, Grabner and her team then searched for other places throughout the area that might not typically fit the mold as spots to view artwork. These include a Transformer Station built in 1924, the retired William G. Mather Steamship docked on the coast of Lake Eerie and the still operational Federal Reserve Bank of Cleveland. In creating their works, many artists sought inspiration directly from the venues housing their creations. For example, Yinka Shonibare MBE, a British-Nigerian artist from the United Kingdom, partnered with the Cleveland Public Library for “The American Library,” an installation of 6,000 hardback books whose covers he wrapped in colorful African wax cloth, each book’s spine emblazoned in gold with the names of first- or second-generation immigrants to the United States who have made important contributions in the country’s arts and sciences communities. The expansive piece also features the names of “immigration dissenters who opposed such ideas,” and includes an interactive element that invites viewers to add in their own immigration stories and photographs by posting on Instagram with the hashtag #FRONTart2018. Another example is a video installation by American artist Philip Vanderhyden, who created a 15-minute video loop that spreads across an accordion of two-dozen flat-screen monitors housed inside the gilded lobby of the Federal Reserve Bank of Cleveland. To create his animations, Vanderhyden used design elements taken from the Beaux-Arts building’s interior along with publications put out by various financial institutions to explore the American financial system. Both pieces are the first logical step in creating an open dialogue on the many political, social, racial and economic subjects that have taken center stage throughout Cleveland and other cities across the United States. A dialogue that contains all voices. FRONT International will be on display now through September 30. For more information, including a full list of artists, venues and events, click here. Cover title: Half hour recreations in natural history. Book advertisement on colophon page.